Here is your opportunity to own a home in Roseville for under $400, 000! Come take a look! So easy to convert the loft to a third bedroom....just add a wall and a door. Perfect for first time home owner! This home features a large kitchen with granite counter tops and stainless steel appliances. Other highlights include wood floors, large master suite, upstairs laundry and kitchen/family room combination making it perfect for entertaining and everyday use. Low maintenance backyard perfect for barbecues. Convenient to dining, shopping, theaters and schools. This condo is more like owning a detached, single-family home. 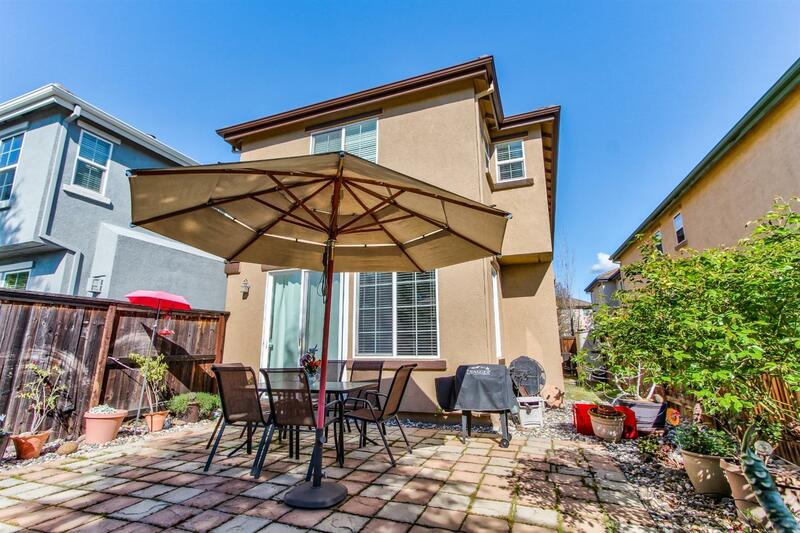 This unit may be one of the best in the complex as it has an extended back yard (huge patio). Welcome home to Strada Highland Park!